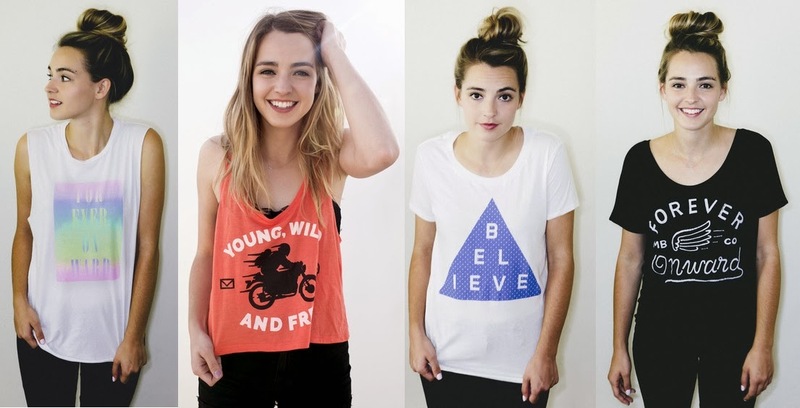 Make Believe Clothing...Do You Believe in Magic? We make, we believe; We are Make Believe. Inspired by the aesthetic appeal of the 1950s simplicity, we compose designs that are both timeless and appealing to all generations. Do you believe in miracles? Tank tops, t-shirts, and more importantly muscle ts are very popular. Every girl likes to dream, believe in miracles, pretend she is more badass than she actually is. Well pick up one of these Make Believe shirts and enter a world of your own pretend. P.S. Someone get He this girls name. If there is one thing He is amazing at, its scouting talen, and there is NO doubt this chick is a HottHe, He sees what others overlook.